University of the Philippines Professor, and a Doctor, Francisco Pascual Tranquilino bravely castigated the fallacious statement and claims of the Commission of Human Rights (CHR) Chairman Jose Luis Martic "Chito" Gascon against the leadership of President Rodrigo Duterte and its administration's intensified campaigns on crackdown of criminality, illegal narco, and corruption. In his Facebook post, Tranquilino a known stalwart defender of President Duterte criticized and condemned Gascon's baseless 'biased declarations' on its relentless tirades before the international audience against how Duterte government violated human rights and abuse its power and authority. Tranquilino responded thru a striking point-by-point explanations to the malicious statements of Gascon who twisted facts to supports the opposition's claims against Duterte which only destroys the reputation and the image of the country in an international arena. He also questioned the real motive of Gascon's statement if the CHR chairman was only performing his mandate and desire to protect the human rights of individual or its statement signifies the real intention to destroy the country's reputation to an international community portraying its opposition leader as 'evil'. "Are we hearing these statements from someone sincere in his desire to protect human rights of the people? Or are we hearing Gascon maliciously destroying his country’s reputation by portraying its leader as evil? We must understand the context by which Gascon is spewing such vitriol accusations against Duterte, Gascon is a Liberal stalwart, a Yellow to the core who does nothing but look for possible violations committed by President Duterte." 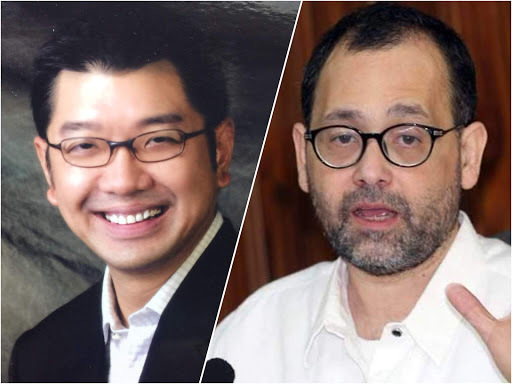 "Gascon is further emboldened by co-minions who support him in his advocacy of bringing down this administration, the likes of Robredo, Rosales, Hontiveros, Drilon, De LIEma, Pangilinan, Bam Aquino, Trillanes+Alejano, Raissa Robles and Maria Ressa. Worse, they bring their malicious accusations before the international community for greater damage to the President and his government." In a recently concluded 2018 Oslo Freedom Forum, activists, technologists, artists, and entrepreneurs from around the world shared their stories to mark a decade of defending human rights globally. The Forum’s online site featured the speech entitled “Death and the Democratic Deficits in Duterte’s War” delivered by Philippine Commission on Human Rights (CHR) Chairman Jose Luis Martin “Chito” Gascon who was described as a Filipino social justice activist. 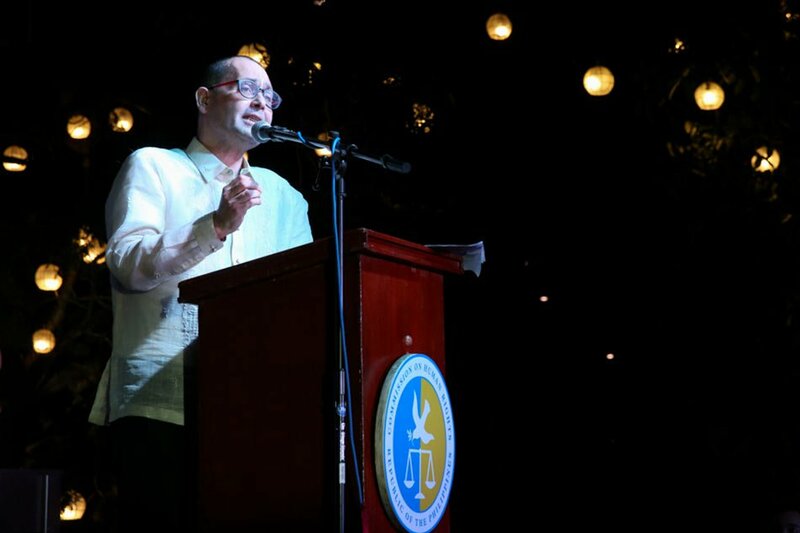 In his 11-minute speech, Gascon described how President Duterte’s so-called “War on Drgs” has led to the lost of thousands, rampant human rights violations, and the blatant abuse of state authority. Gascon identifies a growing trend in the rise of strongmen and widespread threats to democracy around the world. He calls for all of us to acknowledge this trend and work proactively to reimagine democracy for the twenty-first century. This biased declaration by Gascon before an international audience must be condemned for its sheer lies and malicious intent. It distorts facts to support the opposition’s claims. There was no attempt to present a balance and factual information. The narration was meant to destroy the country’s image before the international community. 1. GASCON started his speech by stating categorically: “Human rights and democracy are under assault in the Philippines. I belong to a freedom loving nation on the other side of the world that had been the very first in Asia to wage a revolution against its colonial masters in 1896 and consequently the first to adopt a republican Constitution in the Asian continent in 1898. In 1986, a non-violent popular uprising ended a 21-year rule of the dictator Ferdinand Marcos to restore freedom in our land. We have long been considered a bastion of democracy in a region where, to this day, most countries remain predominantly governed by tyrants. The world hailed us as an example of what people power could do and how the promise of democracy could be fulfilled. Sadly, after just one generation this promise has been broken. Today, the Philippines is at a critical crossroads whereby our people will choose either to return to a path of renewing our faith in democratic practices or to follow the alternative path of populist authoritarian rule that is currently sweeping the world. In 2016, 30 years after the restoration of democracy, President Rodrigo Roa Duterte, popularly elected by a sweeping mandate launched what he called a War on Drgs as the centerpiece program to a strongman platform to establish what he promised to be law and order in our society. Above allegations are baseless. Human rights and democracy are not under assault in our country. It is in fact in the preservation of democracy and the protection of the human rights of the innocents that the centerpiece program of President Duterte is anchored into. It is the aspiration of a leader to provide law and order to a society that can bring about real democracy. And certainly, it is a grave mistake to classify this war on drg as against the poor, against human rights and against the rule of law. How can the protection of the rights of the innocents be against the rule of law? Are we hearing these statements from someone sincere in his desire to protect human rights of the people? Or are we hearing Gascon maliciously destroying his country’s reputation by portraying its leader as evil? We must understand the context by which Gascon is spewing such vitriol accusations against Duterte, Gascon is a Liberal stalwart, a Yellow to the core who does nothing but look for possible violations committed by President Duterte. Gascon is further emboldened by co-minions who support him in his advocacy of bringing down this administration, the likes of Robredo, Rosales, Hontiveros, Drilon, De LIEma, Pangilinan, Bam Aquino, Trillanes+Alejano, Raissa Robles and Maria Ressa. Worse, they bring their malicious accusations before the international community for greater damage to the President and his government. The Commission on Human Rights (CHR) was created under the 1987 Philippine Constitution Article XIII, Section 17 (1). It was however, formally established on May 5, 1987 through Executive Order No. 163. This independent body was “mandated to promote the protection of, respect for and enhancement of the people’s civil, political, economic, social and cultural rights. ”Though the CHR serves all persons in the Philippines as well as Filipino nationals abroad, it particularly prioritizes the following rights-holders: women, children, youth, persons deprived of liberty, indigenous peoples, both local and migrant workers, internally displaced persons, persons living in poverty, persons with disabilities, senior citizens, persons with diverse sexual orientation, gender identity and gender expression and other marginalized groups. Social Justice and Human Rights is enshrined in our 1987 Constitution under Article XIII. Meanwhile the global human rights movement started almost fifty years ago and therein emerged the concept of rights-based development that “holds a universal set of standards, located in international human rights law, that are applicable in all countries throughout the world.” However, a more thorough analysis would make one realize that not all countries will have the same acceptance of policies deemed appropriate for achieving peace or economic growth. Also, attitude towards human rights varies and is socially and culturally specific. Kinzer claims that the human rights movement has now become the “vanguard of a new form of imperialism.” He presented his case by stating: “Want to depose the government of a poor country with resources? Want to bash Muslims? Want to build support for American military interventions around the world? Want to undermine governments that are raising their people up from poverty because they don’t conform to the tastes of upper west side intellectuals? Use human rights as your excuse!” Kinzer believes that “human rights need to be considered in a political context. The question should not be whether a particular leader or regime violates western-conceived standards of human rights. Instead, it should be whether a leader or regime, in totality, is making life better or worse for ordinary people.” And this is what President Duterte is striving to provide the nation. Because he regularly encouraged his security forces to do what they will without any legal constraints? Once again, this statement was taken out of context, the security forces will not be prosecuted if what was done was under the performance of their legitimate duty to protect the innocents and when provoked, in the defense of their own lives. Gascon made direct quotes from the President’s statements bereft of the proper cultural and situational context and dynamics. Intentionally done by Gascon to create a greater impact of how vicious Duterte’s War on Drgs is. The unsubstantiated number of EJKs is constantly mentioned by critics both locally and internationally. Most notable here would probably be the Human Rights Watch report published in March 2017 that blames Duterte for over 7,000 EJKs. According to PNP Spokesperson Senior Superintendent Dionardo Carlos, review of these Deths Under Investigation (DUI) revealed that only 682 are drg-related while more than 800 cases are “regular crimes happening in the street.” It is therefore wrong to assume that there has been no arrest, a trial or other judicial process. Comparatively, even during Noynoy’s term in 2010, early on, the human rights group Kalayaan was quoted as saying: “This early, Aquino’s daang matuwid has become a U.S. inspired path that is increasingly being marked by the blood of the victims of EJKs, enforced disappearances, torture, forced displacement and other violations of human rights.” And in March 15, 2014, Satur Ocampo wrote in Pilipino Star Ngayon: “It seems that we will not see the ending of EJKs and other human rights violations under this second Aquino administration. What we have seen were continued slayings with impunity and not only of political/social activists. 3. 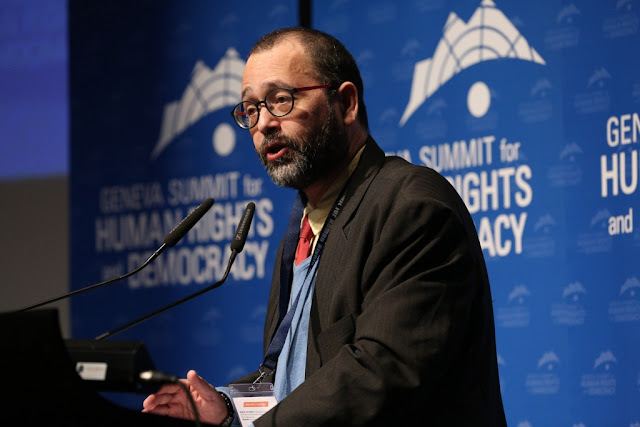 GASCON: “Human rights defenders have sought domestic remedies to challenge the strong arm approach, but to no avail. What has been conveniently missed from Gascon’s complaint regarding the reduced budget for his Commission is his selectivity in investigating only the possible human rights violations committed by agents of government. Gascon is not performing his mandate simply because he is using his position to forward his own political agenda. He is biased because he concentrates on issues that will harm Duterte and smear the President's reputation before the international community and cause ICC to file cases against him. In furthering his aim, which we all know is influenced by his strong affiliation with the LPs/Yellows, he brings in people like Callamard to continue the attacks on the government. So why provide him the budget if his intention is to malign his own government, which is exactly what he is doing during this particular Forum. Imagine, we provide him with budget to go around the world maligning and seditiously attacking the government and Duterte in particular. Again, Gascon’s statement is far from the truth. The women he mentioned were not targeted as enemies by President, and they met their fate because of their own doing. De LIEma was charged of violating the Comprehensive Dangerous Drgs Act of 2002 and 3 separate charges were filed in court for various violations. She was alleged to have abetted the illegal drg trade in the New Bilibid Prison when she was Justice Secretary from 2010 to 2015. It was Judge Juanita Guerrero of Muntinlupa RTC 204 who found probable cause and ordered her arrest. The case of Maria Lourdes Sereno, should be a closed one, the Supreme Court has spoken, and the SC has the sole Constitutional mandate to determine what is constitutional and what is not. LN among other violations that disqualified her for the position of the Chief Justice. As for Maria Ressa, let me educate you on her violation just so you know Duterte had nothing to do with it. d. The Foreign Equity Restriction is very clear, anything less than One Hundred Percent (100%) Filipino control is a violation and anything more than exactly Zero Percent (0%) foreign control is a violation.e. Provision 12.2.2 of the ON PDR as stated above requires prior discussion with and approval of at least 2/3 of the PDR Holders (Omidyar) which renders the stockholders subservient to the latter. Thus, some degree of Control is provided to the foreign PDR Holders (ON).So basically, like De LIEma and Sereno, Ressa’s fate was her own doing, she violated the Constitution, period! The Rome Statute creating the ICC was adopted in 1998. It was then President Joseph Estrada who signed it in December 2000 but it was not until Aug. 23, 2011 when the Philippine Senate concurred with the Statute and thus became the 117th state to join the ICC. It was the late Sen. Miriam Defensor-Santiago as Chair of the Sub-Committee on the Rome Statute who defended it during Senate deliberations. This concurrence by the Senate satisfied the Constitutional provision in Article II Section 21. Being part of the law of the land and therefore an internal law, a treaty is not superior to an enactment of the Congress of the Philippines, rather it would be in the same class as the latter. Therefore, being in the same class as any Congress enactment, then it should satisfy the requirement before a law becomes effective and applicable. Republic Act 386 (The Civil Code of the Philippines, June 18, 1949) Chapter 1 Article 2 states that “laws shall take effect after 15 days following the completion of their publication in the Official Gazette unless it is otherwise provided. Therefore, if the Rome Statute was never published in the Official Gazette or a newspaper of general circulation, then IT IS NOT EFFECTIVE AND APPLICABLE. This is a petition of Senator Aquilino Pimentel and the other parties to ask the Supreme Court to require the Executive Department to transmit the Rome Statute which established the International Criminal Court for the Senate’s concurrence in accordance with Sec 21, Art VII of the 1987 Constitution. It is the theory of the petitioners that ratification of a treaty, under both domestic law and international law, is a function of the Senate. Hence, it is the duty of the executive department to transmit the signed copy of the Rome Statute to the Senate to allow it to exercise its discretion with respect to ratification of treaties. Moreover, petitioners submit that the Philippines has a ministerial duty to ratify the Rome Statute under treaty law and customary international law. Petitioners invoke the Vienna Convention on the Law of Treaties enjoining the states to refrain from acts which would defeat the object and purpose of a treaty when they have signed the treaty prior to ratification unless they have made their intention clear not to become parties to the treaty. Whether or not the executive department has a ministerial duty to transmit the Rome Statute (or any treaty) to the Senate for concurrence. The petition was dismissed. The Supreme Court ruled that the President, being the head of state, is regarded as the sole organ and authority in external relations and is the country’s sole representative with foreign nations. As the chief architect of foreign policy, the President acts as the country’s mouthpiece with respect to international affairs. Hence, the President is vested with the authority to deal with foreign states and governments, extend or withhold recognition, maintain diplomatic relations, enter into treaties, and otherwise transact the business of foreign relations. In the realm of treaty-making, the President has the sole authority to negotiate with other states.It should be emphasized that under our Constitution, the power to ratify is vested in the President, subject to the concurrence of the Senate. The role of the Senate, however, is limited only to giving or withholding its consent, or concurrence, to the ratification. Hence, it is within the authority of the President to refuse to submit a treaty to the Senate or, having secured its consent for its ratification, refuse to ratify it. Although the refusal of a state to ratify a treaty which has been signed in its behalf is a serious step that should not be taken lightly, such decision is within the competence of the President alone, which cannot be encroached by this Court via a writ of mandamus. This Court has no jurisdiction over actions seeking to enjoin the President in the performance of his official duties.”Now, what if the Rome Statute was indeed published whether in the Official Gazette or a newspaper in general circulation? (b) The case has been investigated by a State which has jurisdiction over it and the State has decided not to prosecute the person concerned, unless the decision resulted from the unwillingness or inability of the State genuinely to prosecute. These alleged EJKs are in fact being investigated by either the PNP or our own courts. Moreover, the same provision in the Statute dictates that “in order to determine inability in a particular case, the ICC shall consider whether, due to a total or substantial collapse or unavailability of its national judicial system, the State is unable to obtain the accused or the necessary evidence and testimony or otherwise unable to carry out its proceedings. Said conditions are not present in our country today. There is no collapse or unavailability of our national judicial system. Meanwhile, in an article published on April 1, 2015 by Ibrahim Waiswa Batambuze entitled “Assessing the ICC as a court of last resort,” he extensively discussed this issue of Admissibility. According to Batambuze, to initiate an investigation, the ICC Prosecutor must (1) have a "reasonable basis to believe that a crime within the jurisdiction of the Court has been or is being committed", (2) the investigation would be consistent with the principle of complementarity, and (3) the investigation serves the interests of justice. In determining jurisdiction, the principle of COMPLEMENTARITY must be observed. Complementarity means that the Court will only prosecute an individual if states are unwilling or unable to prosecute. Therefore, if legitimate national investigations or proceedings into crimes have taken place or are ongoing, the Court will not initiate proceedings. This principle applies regardless of the outcome of national proceedings. Even if an investigation is closed without any criminal charges being filed or if an accused person is acquitted by a national court, the Court will not prosecute an individual for the crime in question so long as it is satisfied that the national proceedings were legitimate. Batambuze further claimed that the ICC is a court of last resort. It is designed to step in only when domestic courts cannot or will not prosecute a case relating to these international crimes. The direct implication of the above, is that all domestic remedies must be exhausted before the case can be brought to the ICC. So, no matter how one looks at it, THE PRESIDENT’S WITHDRAWAL FROM THE ICC IS A NON-ISSUE. 6. GASCON: “The Philippine case that I have just described is but one more instance of an increasing global trend. A recent Time magazine cover has proclaimed the rise of the strongman. The argument of the strong man is not new, its proposition has always been simple and straightforward. It essentially offers the false choice between the uncertain future of living free in a democracy with its regular contestation of competing interests and the guarantee of some security and stability that is offered by a strongman in exchange for diminished freedom. The strong man rises, carried to power and propped up by a wave of popular support, driven by a perception of his decisiveness, fueled by tough talk, and opposed truth narrative with a readiness to undertake quick fixes, or make undemocratic shortcuts on behalf of populist pandering to the masses. This is the challenge to democracy today in my country and elsewhere, especially in places with weak institutions that are unable to ensure separation of power and particularly, an independent judiciary and strong parliaments. Nonetheless, it is still possible for all of us to collectively stem the tide to be able to push back in defense of freedom and democracy. The first step to take is to acknowledge our shortcomings. We must admit significant lapses in not recognizing this democratic crisis much sooner. We believed or perceived that the system would fix itself because we probably refused to see that it was already broken. Democracy, at least partially, has not been able to address all the aspirations of our people, at least, as it is. Now is the time to reimagine a vision of democracy not as it was, but as it should become. We cannot merely participate in a project of just restoring democracy rather we must nurture a citizens’ movement that would rebuild and renew democracy for the future. Yes, we will need more democracy, not less of it. More transparency, not fake news. More mechanisms to check against abuse of authority. The world has changed. Our democracy must evolve as well. We each have a responsibility to mount a response to this existential challenge that will affirm our most cherished values of truth over deception, the power of the people over strongman rule, and hope over despair. But we must do this together, building a solidarity to pursue a politics of civility and inclusion and employing non-violent strategies in our parliaments, in our courts, in the cyberspace and yes, also in our streets and in our communities. We must ignite courage and push back. A strong and vibrant democracy requires a strongman. It is erroneous to claim that the argument of a strongman is essentially a false choice between an uncertain future of living free in a democracy with its competing interests versus the guarantee of some security and stability in exchange for diminished freedom. In fact, it is the initial setting of law and order, peace and security, protection of the human rights of the innocents over and above the lawless elements that will eventually strengthen the foundation of a true democracy. Indeed, when a strong man rises, carried to power and propped up by a wave of true popular support, real democracy is in action. Gascon and his co-minions were just shocked at such a phenomenon because they realized that the democracy they cultivated for 30 years was finally discovered to be a farce. A strong leader, decisive and determined in his actions, goal-oriented, attuned to the people’s sentiments, and with a strong popular support can provide the change a rotten society desperately needs. What we are witnessing now is democracy in its truest form that the likes of Gascon are trying desperately to push back. This kind of democracy is now addressing all the aspirations of a people. Yes, we will need more democracy, we will need more transparency and not fake news, thus we do not need a Gascon travelling all over the globe spreading fake news against our President and his government. Yes, our world has changed, our democracy has evolved as well. We each have a responsibility to mount a response against people like Gascon who continue to threaten our most valued aspiration for change. Ours is the real power of the people over the Yellows, the Liberals and Oligarchs who have long corrupted and raped our democratic institutions. Each day we will direct a righteous anger in a manner that is both purposive and strategic towards people like Gascon who would deny us our dignity.